We are looking forward to presenting our latest research in psoriasis at the 27th Annual European Academy of Dermatology and Venerology (EADV) congress in Paris, France, 12–16 September. 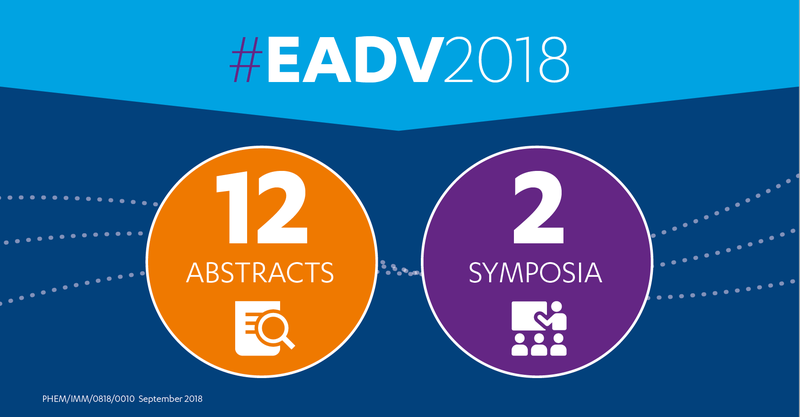 With exciting data from our ongoing clinical trials programme in psoriasis, our presentations at this year’s EADV highlight our commitment to the dermatology community and in particular to people living with psoriasis. Psoriasis is a chronic, painful, disfiguring, and disabling disease for which there is no cure. It is also the most common immune system-related skin disorder, affecting approximately 14 million people across Europe. We are also hosting two satellite symposia: IL-23 inhibition in psoriasis: changing the present, shaping the future, 13 September, 17:00-18:30 and From evolution to revolution: IL-23 in the treatment of psoriasis patients, 14 September, 17:00-18:00. Follow us on Twitter @JanssenEMEA and join the conversation using #EADV2018!